We are an import/export company serving the food, cosmetics and pharmaceutical sectors in Turkey. Vankim group was established in 2002 by a group of dedicated businessman with the aim of bringing the quality to the customer satisfaction. 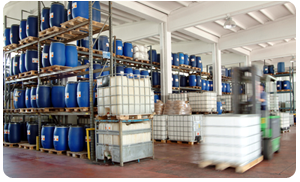 The ingredients, chemicals or systems are selected from the most qualified manufacturers and directly imported or exported to the customer at most competitive prices. Service guarantee, integrity and punctuality are the pillar stones of our company philosophy. We have modern storage facilities to accommodate a large variety of inventories. We have been growing at a relatively fast rate. As Vankim Group, we always believe that our growth can only be achieved through the expertise and innovation of our suppliers as well as happiness and growth of our customers. We have recently entered into water treatment business under the brand name of OCEAN. Both undersink and countertop reverse osmosis based water purifier models are supplied with the most stringent requirements.